Blockchain is a technology that is already changing the way that our economy works. While it is pretty radical, there are so many applications of this technology in finances, security, banking, and so much more that it will expand exponentially. This audiobook is going to take some time to talk about the blockchain and how it can make a difference for you and your everyday life. 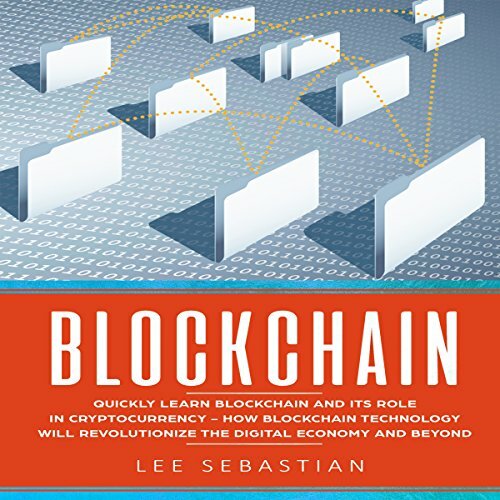 When you are ready to learn more about how blockchain works and how you can use it now and in the future, make sure to listen to this audiobook to help you get started, then move onto more advanced editions. It effectively brought across the advantages and disadvantages of this technology and provided insight as to the best use of this ground breaking technology.i highly recommend this. Blockchain will change the world. This book have all needed details and ideas about blockchain. Thanks for it. This book has helped me a lot. The hashing examples alone are a great source of for a developer to use in practicle applications, escpecially if one is trying to create block chain applications for a specific industry. Thanks for the deep read on this subject. I can't wait to see where the blockchain will be a few years from now. Interesting! This is a awfully sensible introduction to blockchain technology. It's a stretch to call this book a deep dive as I felt that the information presented was fairly basic. Indeed, this book is perfect for someone new to Blockchain who would like a clear idea as to what it is all about. Recommended! this book thoroughly explains about Blockchain. Though I'd read books about it but still I am seeking new tips and ideas that can add to my knowledge. I find this book easy to read and comprehend. It also explains the Internet of Things, smart contracts, the ledger of things as well as the application of these technology. It's a good read! What a good start to have this book. It really opened my mind to new possibilities of being final free with this kind of tool. In becoming Quickly Learn Blockchain and Its Role in Cryptocurrency. This book is an excellent resource for understanding blockchain at the most fundamental level. A great book for people who know nothing and want to learn more. It also has some insights and resources that people who already have some blockchain knowledge will find useful. I highly recommend this book to anyone interested in blockchain technology. Blockchain explained simply.I now have a better understanding of blockchain and cryptocurrency and its use case's. I highly recommend this book. I choose this book because it catch my attention and its new for me. However, I find it helpful because this block chain technology brings a new layer into the internet's functionality. Very good for beginners like me. I like it because it gives me new ideas and information. I will recommend this to my friends out their. The blockchain is a global database used in the bitcoin system which records all transactions that have taken place in the Bitcoin network. It also keeps track of new bitcoins as they are generated as well. The goal of this is to teach the reader all that he/she needs to know about the blockchain technology and how to dive right into it to enjoy the benefits that stems from this particular technology. Opened my eyes to the endless possibilities and potential benefits of blockchain technology. Well worth a listen.